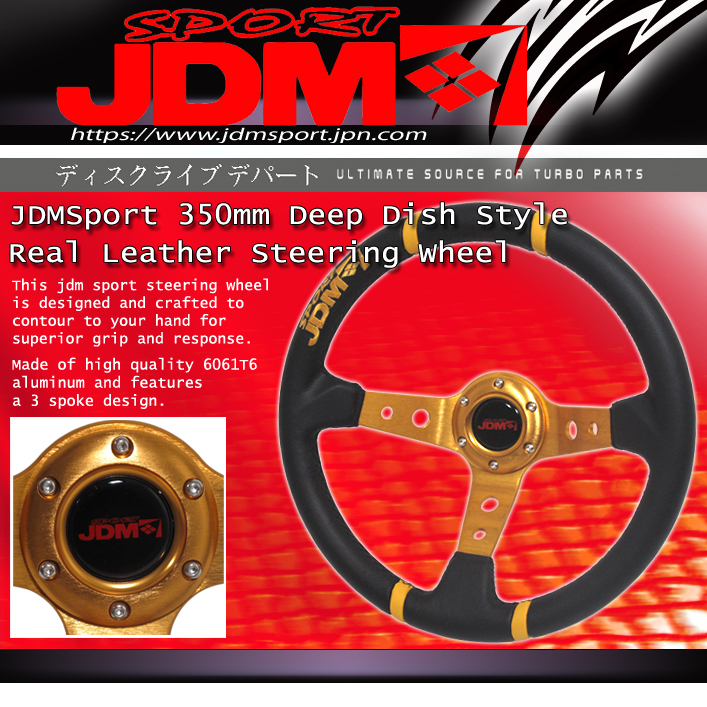 JDM Sport introduces NEW STEERING Wheels to "JDM SPORT YOUR RIDE!" for 2014! 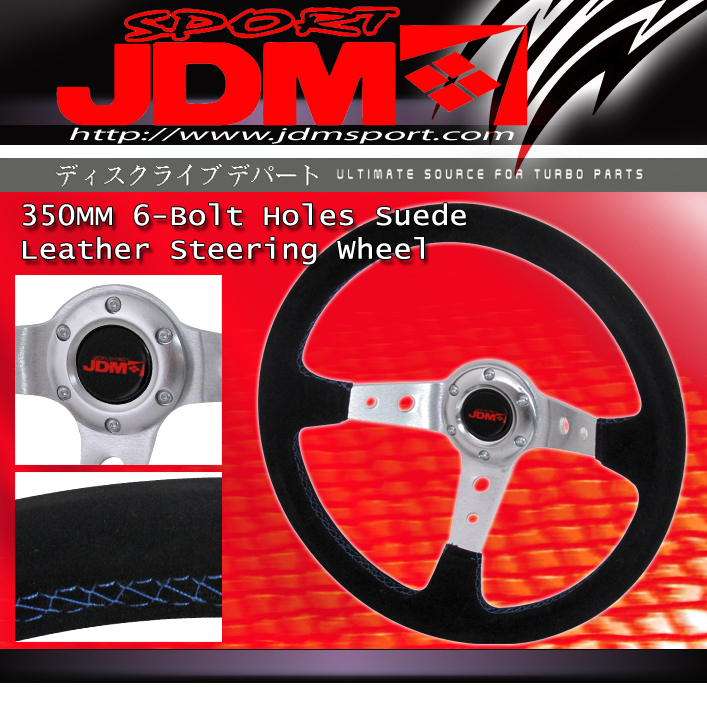 The new year is near and JDM Sport is excited to introduce several lines of products for the JDM Sport Nation in 2014! It was a HUGE return for JDM Sport as they came to SEMA 2013 unveiling some INCREDIBLE new products (and project vehicles which you've seen on social media and web sites at their booth and feature vehicles). First of which will be featured here is the BRAND NEW 2014 JDM Sport Steering Wheel line-up. So many choices tol "JDM SPORT YOUR RIDE"! 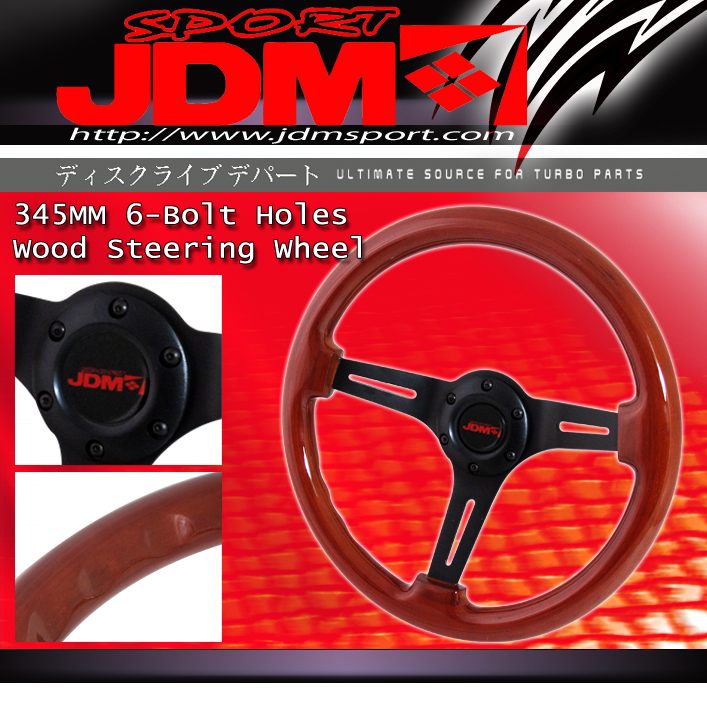 (Above left: NEW JDM Sport Wood Grain CLASSIC Deep Dish / Drift Steering Wheel. 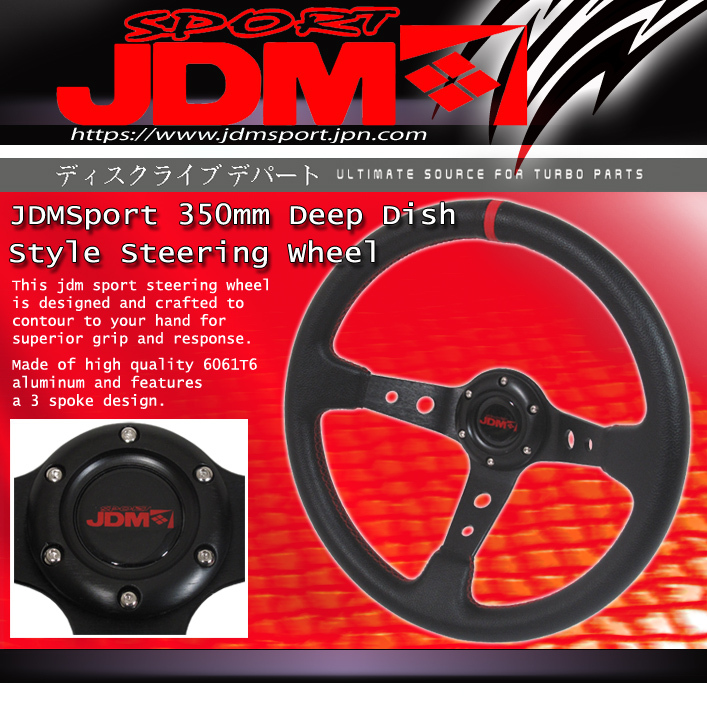 Next up are the entirely NEW LINE of JDM Sport 350MM drift / high performance / racing steering wheels for the tuners of JDM Sport Nation! 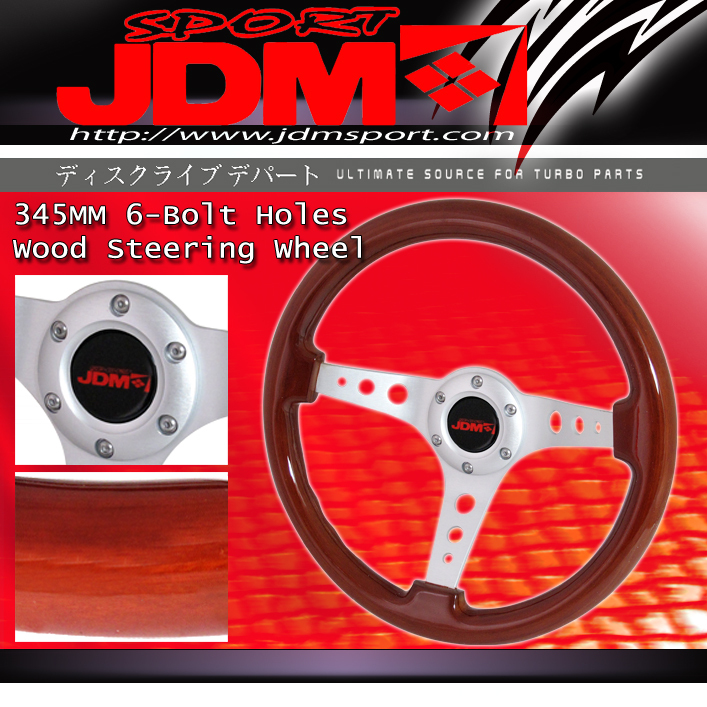 As you can see JDM Sport has an amazing line-up of JDM Sport Steering Wheels for 2014 so you can "JDM Sport Your Ride!" So many types to choose from and don't forget we still have our classic steering wheels and previous models available! 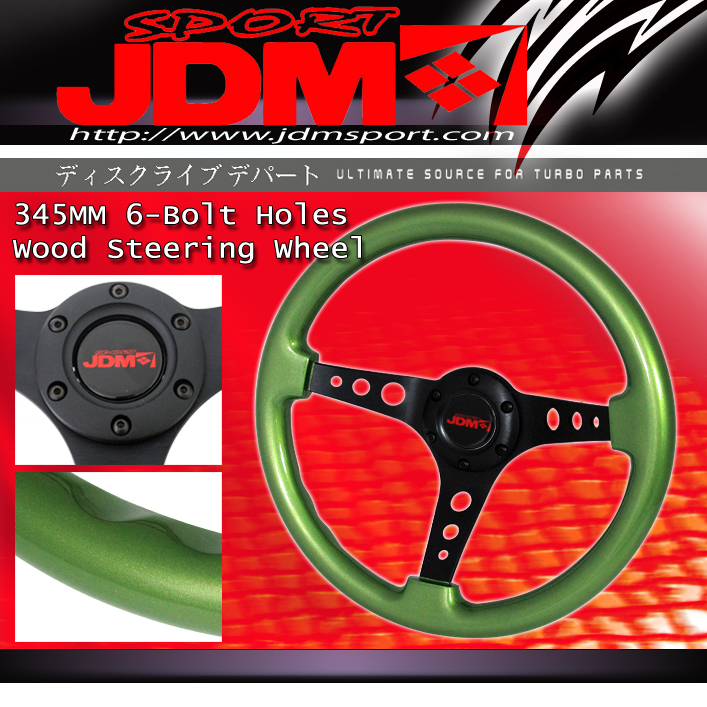 Inquire with your AUTHORIZED JDM SPORT dealer for more info and options! More product features to be released soon so keep your eye on our social media, website, and AUTHORIZED dealers! Want to become an AUTHORIZED DEALER? Visit www.JDMSport.com for applications now! AJP Distributor 2017 Catalog of Performance Products, Accessories, & Apparel ONLINE NOW! The AJP Distributor 2017 Catalog of Performance Products, Accessories, & Apparel ONLINE NOW! See ALL your favorite products and the NEWEST products with details and descriptions! SHARE! CLICK HERE TO DOWNLOAD 2017 AJP Distributor Catalog ! 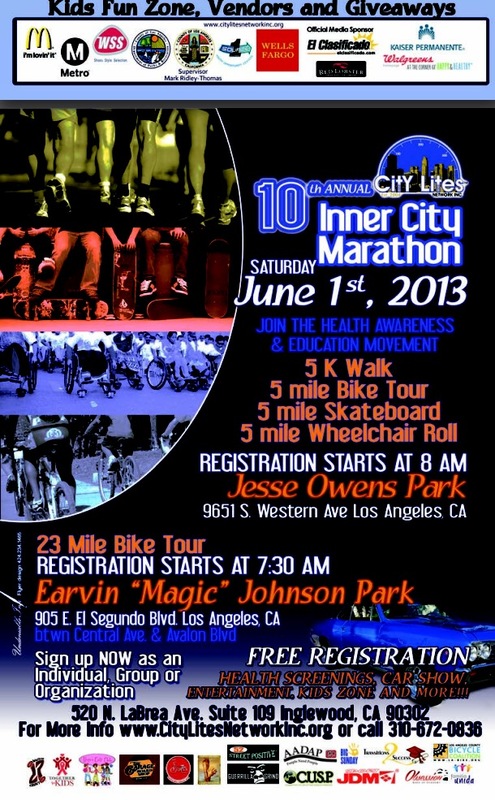 10th ANNUAL CITY LITES INNER CITY SPORTS FESTIVAL & HEALTH FAIR starts a 1st ANNUAL CHARITY CAR SHOW / SHOWCASE PRESENTED BY JDM SPORT | FIRM400 | AdvanSpec Network! You will then receive a confirmation e-mail with details and application info! Simple as that! Thank you and please pass the word and help our friends at JDM Sport | Firm400 | AdvanSpec Network make the 1st ANNUAL CHARITY CAR SHOW | SHOWCASE in conjunction with CITY LITES a SUCCESS! 2013 is HERE! Happy New Years AdvancedJDMParts.com (AJDMParts.com) Shoppers! From EVERYBODY here at AdvancedJDMParts.com (AJDMParts.com) we would like to extend a very HAPPY NEW YEARS to all of our shoppers and supporters! We wish everybody much health, wealth, prosperity, well-wishes, and positivity for this new year! We appreciate ALL of you for the years of supporting us and will continue to improve and bring you all your automotive performance, accessories, and apparel needs! Arlington, VA – 12/11/2012 – The Consumer Electronics Association (CEA)® today announced that the 2013 International CES® will feature a record amount of exhibit space, with the show floor totaling more than 1.87 million net square feet. The previous record was 1.862 million net square feet at the 2012 CES. Owned and produced by CEA, the 2013 CES, the world’s largest innovation event, is scheduled Tuesday, January 8-Friday, January 11, 2013 in Las Vegas, Nevada. The 2013 CES will feature 3,000 exhibitors spanning the largest show floor in the event’s 45-year history. A record number of eight automakers will exhibit at the 2013 CES, including Audi, Chevrolet, Chrysler, Ford, Hyundai, Kia, Lexus and Subaru, across more than 100,000 net square feet of exhibit space. The iLounge Pavilion returns to the 2013 CES with a combined total of 120,000 net square feet of i-related products and technologies. Showcasing more than 440 exhibitors, iLounge has quadrupled since its launch in 2010 and will be located in the Las Vegas Convention and World Trade Center (LVCC), North Hall and the LVH. A must-see destination at the 2013 CES is the expanded Eureka Park TechZone, featuring 140 exhibitors including entrepreneurs, start-ups and small companies showcasing the next-generation of technology. New to Eureka Park for 2013 is the Startup America Live stage, which will bring together startups, investors, large companies and media to highlight the amazing innovations unveiled at the 2013 CES. The 2013 CES conference program will feature 300 robust sessions and 800 speakers, including keynotes from the leaders of Qualcomm, Panasonic, Samsung and Verizon, as well as a Brand Matters Keynote with executives from American Express, AT&T, Coca-Cola, Salesforce.com, Samsung and Unilever. Additionally, the Entertainment Matters program, sponsored by Variety, is back for its third year with exhibits, conference programs and special events for professionals in the entertainment community and will feature actress Felicia Day as the program’s ambassador. www.CE.org and www.DeclareInnovation.com. Follow CES at www.CESweb.org and through social media. Thanksgiving and BLACK Friday has come and gone! NOW LA Auto Show 2012 is here - the ALL NEW MODELS of 2014 will be unveiled! Will you be there? JDM SPORT UNVEILS THEIR NEWEST PRODUCT AT SEMA 2012! JDM SPORT 32- WAY ADJUSTABLE COILOVER DAMPER SYSTEM! DL SERIES! SEMA 2012 is coming! Are you ready?